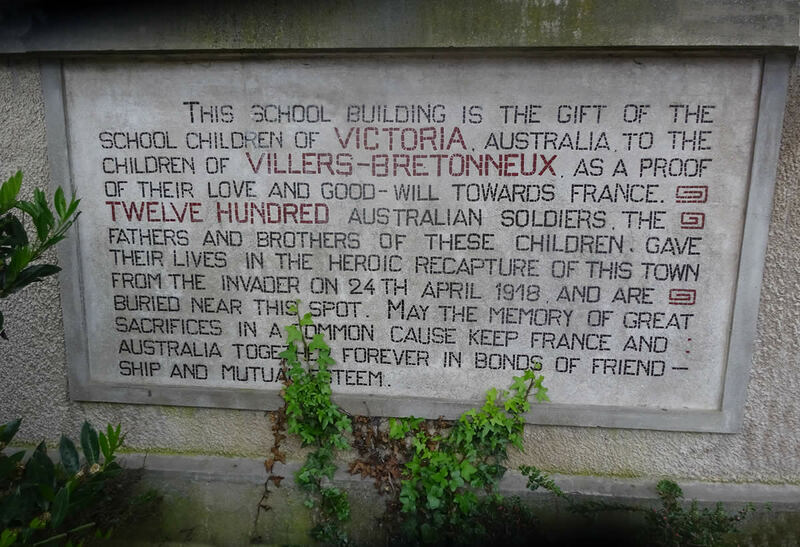 After the devastation of WW1 Australian soldiers and their families from Victoria adopted Villers- Bretonneux to contribute to the reconstruction of the town and support the families. As part of the fund raising effort, Victorian school children were each urged to donate a penny and raised the enormous sum of £12,000 pounds which was dedicated to the building of the Victoria School. For today’s children of Victoria the story of the Penny Drive is long forgotten. The children of Villers Bretonneux have never forgotten. 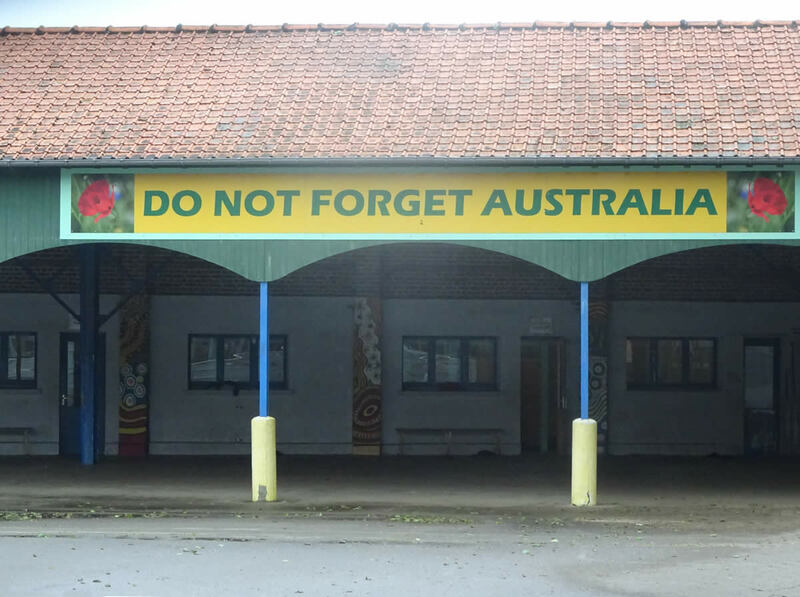 For a hundred years every day they have read the “N’oublions jamais l’Australie” (Never Forget Australia) sign in their schoolyard and school rooms. The French children wrote a song ‘Forever Friends’ in celebration of the shared history. You can find more on the history at Culture Victoria's Villers-Bretonneux page. Music Educators Susie Davies-Splitter and Phil Splitter led workshops with school children in the Yarra Ranges to compose the Penny Drive song ensuring that the history will live on in music. Susie is a music and movement educator, award winning composer and an ANCOS (Australian National Council of Orff Schulwerk) accredited trainer and leads regular training in Australia, Singapore, Hong Kong and China. Phil has been composing and performing since an early age, playing guitar and percussion, as well as singing in many bands. He is also an accomplished workshop facilitator, motivational speaker, award winning script and songwriter as well as a dynamic and high calibre MC. Susie and Phil have developed the very popular and award winning 'Welcome to Music' series of CDs and books, musicals, story books and choral range which is enjoyed extensively by teachers, parents and children of all ages throughout Australia and around the world. They are also the founders of ‘Hearts in Harmony Community Music’, a not for profit association. Their passion is to help cultivate healthy communities and each individual’s potential to be creative and compassionate human beings through music and the arts. More recently they have added ‘Ukexperts’ to their long list of credentials and with their original and exciting new ‘Black Belt Ukulele’ program and ‘Uke ’N Sing’ classes for all ages, learning the Ukulele has never been easier, more fun and totally accessible to all! The 1919 Penny Drive was supported by the Victorian Government and the Victorian Veterans Council.